Milarepa (1052-1135) is one of the most famous figures in Tibetan history. In his youth he had been a magician but having seen the futility of that pursuit, he became a yogi under the strict guidance of the translator, Marpa of Lhodrak (1012-97.) He went on to live as a cave-dwelling hermit, and became known as a singer of many dohas, or songs of devotion and wisdom. Also an accomplished teacher, he attracted students who later also went on to found important lineages. His biography, in which he overcomes the adversity of pride and self-concern that led to vengeful destructive acts of magic to finally achieve enlightenment, has been told many times. Lhalungpa's translation of The Life of Milarepa. W. Evans-Wentz/Lama Kazi Dawa-Samdup version: Tibet's Great Yogi Milarepa, with new commentary. An on-line illustrated version, Milarepa: Poet Yogi of Tibet. Jan 01, 2010 debut in Bodhgaya of Milarepa, a Play in 6 Acts by the 17th Karmapa as performed by Tibetan Institute of Performing Arts (TIPA) [scroll down]. After years of self-imposed isolation to atone for the murder and mayhem committed to avenge wrongs done his mother and sister, he persevered in the practice of Mahamudra and the Six Yogas of Naropa which culminated in his achieving profound realization. He expressed that attainment in thousands of poems and songs he composed many of which Tibetans know by heart. They are found in The 100,000 Songs of Milarepa. 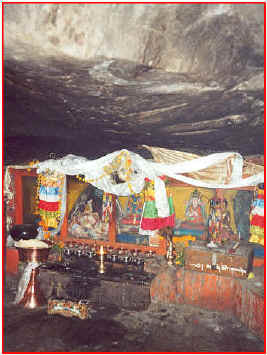 <2000 photo of one of Milarepa's caves by P. Hayward. W. Y. Evans-Wentz first brought Tibet's Great Yogi Milarepa to the English language in 1928. It has since been republished many times. Here is the account of an incident that gave rise to the doha known as Five Comforts. "One night, a person, believing that I possessed some wealth, came and, groping about, stealthily pried into every corner of my cave. Upon my observing this, I laughed outright, and said, 'Try if thou canst find anything by night where I have failed by daylight.' The person himself could not help laughing, too; and then he went away. Then they asked for flour or grain to thicken the soup with. I told them if I had that, I should then have food with sustaining properties; but that I had done without that for some years, and told them to apply nettle tips instead. At last they asked for some salt, to which I again said that salt would have imparted taste to my food; but I had done without that also for years, and recommended the addition of more nettle tips in place of salt. I said, 'O my friends, do not say that. I am one of the most fortunate and best amongst all who have obtained the human life. I have met with Marpa the Translator, of Lhobrak, and obtained from him the Truth which conferreth Buddhahood in one lifetime; and now, having entirely given up all worldly thoughts, I am passing my life in strict asceticism and devotion in these solitudes, far away from human habitations. I am obtaining that which will avail me in Eternity. By denying myself the trivial pleasures to be derived from food, clothing, and fame, I am subduing the Enemy [Ignorance] in this very lifetime. Amongst the World's entire human population I am one of the most courageous, with the highest aspirations . . . ."
Lord! Gracious Marpa! I bow down at Thy Feet! Enable me to give up worldly aims. Have settled down to win the perfect Buddhahood. Comfortable is the Nepalese cotton-padded quilt above me. Nought is there uncomfortable; everything is comfortable. For I a Yogi am, upon the Path of the Acquirement of Eternal Bliss. Return ye to your own abodes. Therefore shall I into the State Quiescent of Samadhi enter now. On the Suffering of Being Born. About Gampopa, who established the Kagyu denomination. Rechungpa, another of Jetsun Milarepa's prominent students, became a translator in the spirit of Marpa, going south to India to bring back several important texts. "Due to Rechungpa’s great effort we have the Red Chenrezig Practice which is central to the Karmapas, the protector Vajrapani’s teachings, the Amitayus practice for long life and health, and the complete Chakrasamvara practice. Chakrasamvara, along with Hevajra and Vajrayogini, are the three main meditational practices of the Kagyu lineage. Without Rechungpa bringing back these practices, it is difficult to imagine the Kagyu path as being complete." ~ Clark Johnson's introduction to Thrangu Rinpoche's Reaching Wisdom. (1052 - 1135) The dates for his life have been revised since the time of Evans-Wentz in 1920's when they were given as 1040-1123.